Ian Chowcat has over 20 years’ experience in the application of digital technology to learning and education. Since 1994 he has worked as an online tutor, e-learning staff trainer, online community facilitator, and e-tutoring developer for a range of organisations including the Open University, Ufi/learndirect Head Office, and the National College for School Leadership, where among other things he led the development of e-learning in the National Professional Qualification for Headship. From 2005 to 2008 he was Director of the South Yorkshire e-Learning Programme, leading the embedding of digital learning technology into schools, colleges and small businesses through a partnership of four local authorities in a public/private partnership programme with a budget of over £70m. In 2008 he became Head of Learning Innovation for Sero. He was project manager for the CAPITAL project in partnership with the University of Nottingham, revising the then-government’s national e-learning strategy. He has worked on a number of digital inclusion projects in the Sheffield region including ‘Making IT Personal’, where he was partnership co-ordinator, and the Sheffield Community Network, where his role included managing the project evaluation. Other activities have included evaluations of: mobile learning innovations for Sheffield College; the Ufi-trust funded Citizen Maths online course; various learning technology projects for the OU Library, University of Nottingham, UCL, University of York, and Loughborough University. Ian has been project manager for the development and establishment of Sheffield’s two University Technical Colleges, helping the project lead from Sheffield College manage the partnership of universities, public sector and business, liaising with the Department for Education, and ensuring the development of the education side of the project alongside the physical build. Both colleges are now in successful operation. Through Sero, Ian has undertaken a number of projects for Jisc, including: project management of the joint Jisc/BBC/BUFVC Research and Education space project, piloting a linked-data based digital public space for education; a feasibility study for a wider Digital Public Space undertaken for the Jisc-chaired Strategic Content Alliance and embracing the broad cultural sector; state-of-the-art literary studies of student resource discovery behaviours, and of teaching in the digital humanities; analysis of issues in e-book collection management; a baseline evaluation of business and community engagement strategies in universities and colleges; contributing to a review of learning technology strategy; and analysing the ethical issues around learning analytics, leading to a published book chapter. Earlier in his career Ian was a fast-stream civil servant working mainly for the-then Departments of Employment and the Department for Education and Science, helping to develop national skills training programmes for the unemployed, for inner cities, and for small businesses. For a time he was part of the government-side national secretariat for the former Training and Enterprise Councils National Council. 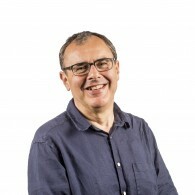 Ian has a PhD in Philosophy, as well as a Masters in e-Learning, both from the University of Sheffield. As well as tutoring online for the OU for fifteen years up to 2009, he has also taught face-to-face at Sheffield, and more recently has supervised masters dissertations for the Sheffield University School of Management. A positive experience undertaking a MOOC in Modern and Contemporary American Poetry, created by the University of Pennsylvania through Coursera, led to Ian acting as a virtual Community Teaching Assistant on the course between 2012 and 2016.